The Estate Yard, Westonbirt, nr Tetbury, Glos, UK - nine unique converted country houses in listed model farm complex, created by Sir Robert Holford and built during the 1850â€™s. 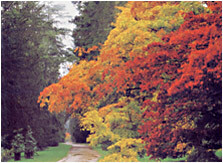 This major conservation project involved the restoration of the Estate Yard in Westonbirt, near Tetbury. This unique development involved nine high-quality luxury conversions on this listed model farm complex which was created by Sir Robert Holford and built during the 1850ï¿½s. The creation of four delightful homes from Holfordï¿½s original agricultural buildings on the Estate Yard represented the first phase of our unique development on this site. The second phase saw the completion of a further five luxury houses, all finished to the highest standards. 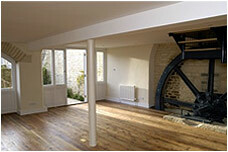 The conversion and restoration of the Sawmill and Estate Yard retained many original features. The central Bellcote, a distinctive characteristic of the buildings, was retained and other features were painstakingly renovated and restored to provide homes with modern day comforts while retaining the character of the past. Properties varied in size from three to five bedrooms with courtyard landscaped gardens, dry stone walling, wine cellars, spacious and light rooms, individually hand made kitchens, windows, stairs and doors, stunning fireplaces and covered parking.